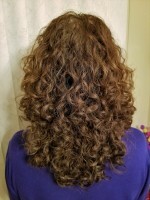 Hi fellow EuroCurlies! I just wanted you to know that I have some stuff listed on the HAIR swap board and the BEAUTY swap board for sale. I am in Germany and can ship through DP too!